This information video project is about the Tiki community. The audience learns about the Wiki Way (i.e., its model) to make software. Three to five video clips are produced, each of which lasts approximately 3-4 minutes. These info-video-clips are interviews of those who are involved in the Tiki community. Interviews can be conducted over the internet and broadcast is Creative Commons Licence 2.5 version compliant. Then, the clips are embedded in as many free video distribution platforms as possible. Developers (guerrilla programmers and trained programmers) and technology decision makers. Companies like ISPs and SMBs who advise and help clients in the use of web applications solutions. Organizations who serve Fortune 500 companies. Questions being asked during the interviews? Is Tiki a long-term project for you? Some say that Tiki is not a Content Management System but a Community Management System. What is your take on it? How about Ecosystems? Where are the plug-ins in Tiki? What does this mean: "The WIKI way to build software"? Your plan is to release early and often. How often? Every community within Tiki is interdependent. If a group builds/integrates a functionality, up to a significant quality, it can then be integrated into the core and released quickly to the community. Is this why Tiki.org different for other intelligent ecosystem? Developers need to be ready so that their contribution becomes available to all. Isn't that frustrating and "anti-competitive"? What are the strengths of Tiki: For example, the use and integration of jQuery, Zend, Smarty, etc. Since your familiar with Tiki.org, if you had to go back in time, would you still recommend this CMS Groupware? What do you mean by "Everyone is Co-Captain"? How can Tiki be good at everything? Can a Tiki web site look like anything I want it to? What do the 3 simple rules mean (Respect the Environment; Commit early, Commit often; and Make it Optional)? In Tiki, pretty much all the functionality is offered in the "core". Why are some developers concerned about Tiki's perceived lack of modularity. Is this a concern? Let's say I have a Buleting Board System that is profitable. I wish to migrate it, to expand and plan for the long term. Can the Tiki CMS Groupware help me? Gary has approved the release in January 2011. It is now up to Daniel to re-do the said clip or to post the source code on the tv.tiki.org side. How is one interview taking place? Those who accept to be interviewed should be fairly prepared and pick two or three questions written down. The core of the interview is a discussion between the videographer and the person being interviewed. Here are some videos captured at the TikiFest. Tiki has No plug-ins, how can that be? The model used. In theory, 100% of the developers have access to 100% of the code. In reality, there are hierarchies, yet they are more like concentric circles. There is a fluidity within the community. Everyone is allowed to edit every page (in principle). Conclusion: This portion is named: How can it possibly be true? Or, it looks too good to be true. A picture is worth a thousand words. The ideal situation would be to have charts ready. Drawings that explain some complex concepts make it easier for the audience to understand. These charts will be used during the editing phase to intercut and avoid just having some heads talking. Take two. (Marc Laporte). Continuation of talks about the TikiW Ecosystem. Few points to remember: We should make the interviews "really" into clips. Meaning that we should consider to cut the filming after an answer has been given so that we can verify the result is satisfactory. Day two of the project did not go as expected. Yet, progress did occur. The manner in which the interviews are conducted is quite efficient now. A question, one question is asked and the answer is complete and deep. No reply, no counter questions, no interruptions, just the short question and the complete answer. Gary and Philippe did well. Gary did talk about "Themes" (no broacast of this, the uStream.tv site did not capture Gary's interviews. Then, Philippe talks about how can someone make a living with Tiki and what improvements does he see has needed. Shawn, Patricia and Pascal did not come. 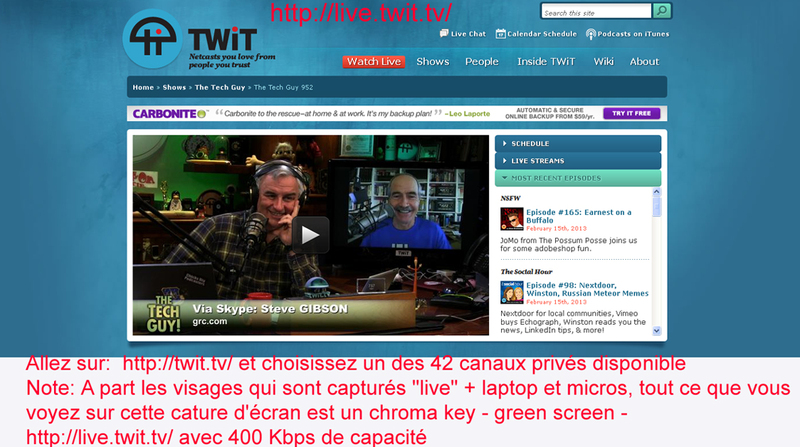 See this uStream capture (in French) and this one too (in English). The "virtual" interview concept was not tested, though it was discussed. Interviews with: Pascal St-jean and Martin Latulipe. We shot 5 clips with Pascal. Pascal talked how do the economic value and the business aspect relate to each other. Really inspiring. Martin talked about Trackers. Day four (is / will / has) taking place on March 17 2013 (between 14:30 and 16:00) at the Equilibrium Center, 4812 Boul St-Laurent street, local 101, Montreal, Canada, H2T 1R5. Those interrested to participate in this full HD1080 video shoot with Blue Screen effect head shots, please contact the aforementionned to be included in the participants list. I need to know in advance as time scheduling is tightly built and we don't want to make you wait for nothing. Participants will be asked to sign a release form as this video shoot will be used for commercial purpose. If you do not wish to see yourself talking behind a fake background, do not come to this event. Priority will be given Tiki.org active members and post-prod will be done fairly quickly. An invitation was sent to the YogaPartout community in our last info news letter. Now it is your turn to be invited. Take advantage of it as this is a rare occasion: Be filmed in HD1080 for your next BluRay or HD YouTube! We're now extending the invitation to you. If you or a representative of yourself wish to be interviewed on March 17 2013 (between 14:30 and 16:00), please contact Daniel to book your spot. 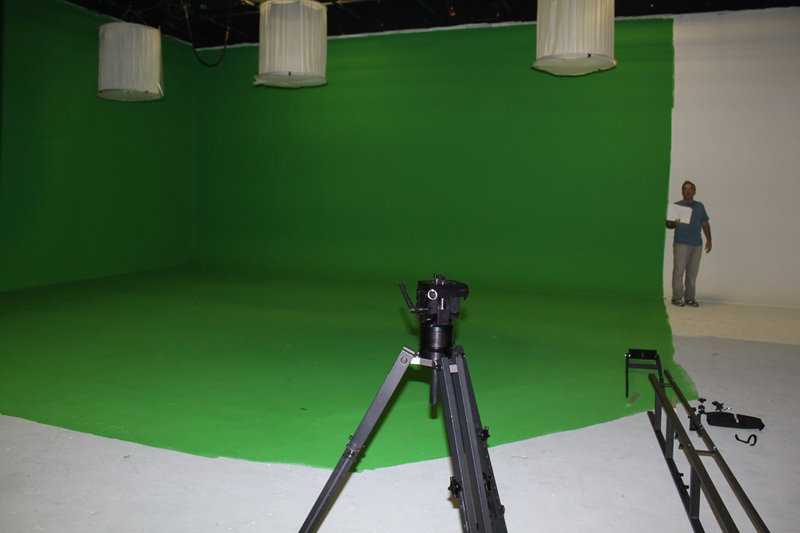 The use of Chroma Key over the internet to reproduce vast spaces is now commun practice. Indeed, today, you can find all sort of things for chroma effect reproduction. You can buy chroma suits, build your own for less than 20$, etc. Afterwards, once your on your editing table, you can buy a background to pretend your in a profesionaly looking studio, etc. 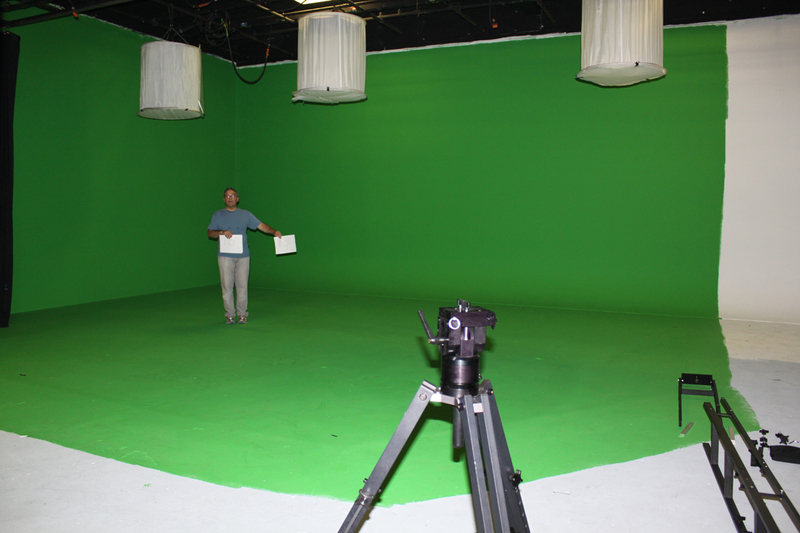 In 2011 and 2012, I visited local chroma key studios to learn benchmark's practices. Several studio visits took place. A studio like the pics bellow rents for about 200 EUR per day, all inclusive. These visits inspired me for the "creation of my portable chroma key studio". Among the thousands of YouTube videos teaching you tricks of the trade, this video tutorail bellow is most complete. Enjoy it. Over one hour of video material is available for editing. The interview with Marc Laporte talking about Modularity? There are two interviews of Marc talking about modularity. The one filmed at the Ottawa BBB Tiki fest and the one filmed the first ever Tiki Fest the author attended in Montreal. Pascal St-Jean talking about Ecosystems at the TikiFest Montreal 2010? Rodrigo Primo speaking about Tiki in spanish (2011)? Once approved (the final product, that is) by those being interviewed, the clips are disseminated over as many video web sites and distribution hosts as possible. Qik Unavailable at the present time (dec 12 2010). 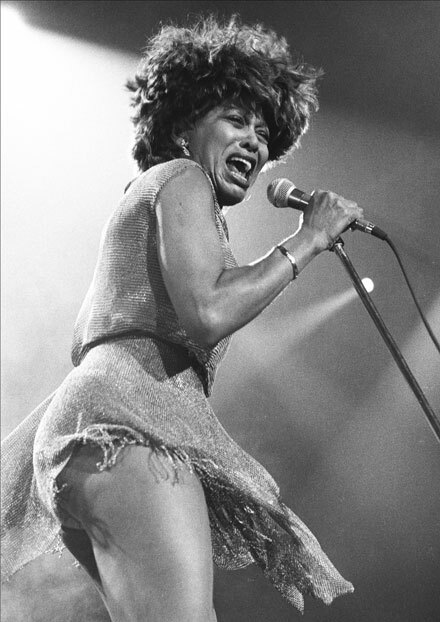 Like the June 4th 1984 Tina Turner song "What's love got to do with it" says, in regards to video production, in an open minded Tiki Way set of doing things, what's "The Aquarius Age" got to do with video filming? The song "Aquarius" (listen to the sample in .ogg format) was and is still a hit! More than that, with the advent of HD, Blu-Ray, 3D revolution, the rapid development of smarter media (HTML5 per example makes the disbribution process easy to accomplish) tools, one only has to hang on tight on his seat to stay up to date with video techonology. The entry cost may be lower than ever, yet for individuals and small companies to stay up to date is not an easy selling proposition. This is why this project is taking interresting turn. Buy the uniform with this? Created by Daniel Gauthier. Last Modification: Sunday 14 May 2017 22:27:24 GMT-0000 by Daniel Gauthier.